Single component dressing enables fast application. 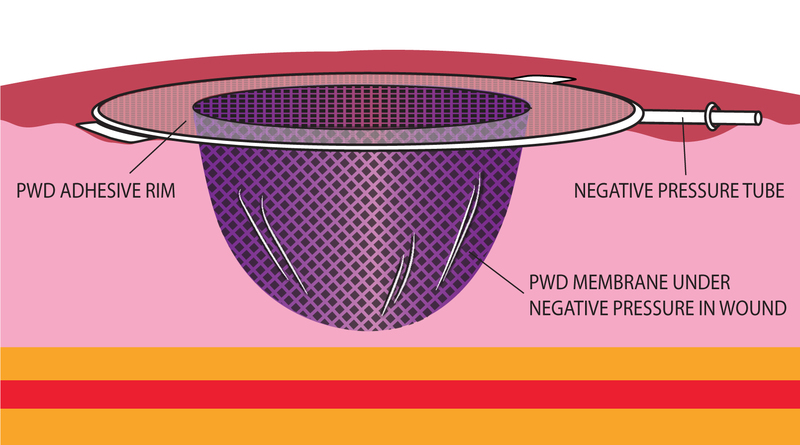 A single component device results in precise control of the wound micro-environment. Flexible, transparent device that is sealed to the skin with a built in adhesive just outside the perimeter of the wound. The PWD can effectively operate at a negative pressure as low as -50mmHg. Embossed surface eliminates need for foam or gauze.